The cover for the 2016 wall calendar, featuring (from left to right) Leela, Fry, and Bender. 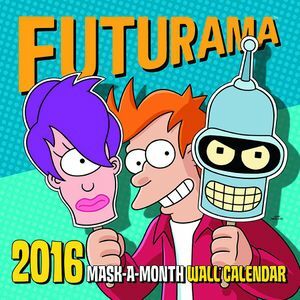 Issue #78 of Futurama Comics is expected to be released. Issue #79 of Futurama Comics is expected to be released. This page was last edited on 18 February 2016, at 21:30.